Emotiv EPOC Neuroheadset is a personal interface for human computer interaction. 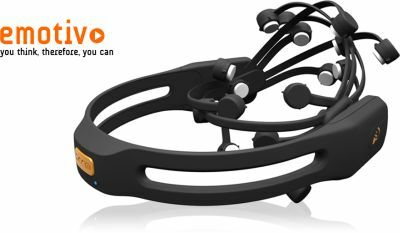 The Emotiv EPOC is a high resolution, neuro-signal acquisition and processing wireless neuroheadset. It uses a set of sensors to tune into electric signals produced by the brain to detect player thoughts, feelings and expressions and connects wirelessly to most PCs. The EPOC headset is priced at $299 but SDKs to program it are not free. For example, there’s a research SDK available for $750. So an user of the EPOC headset has decided to hack it and started the Emokit project: an open source interface to the EPOC. 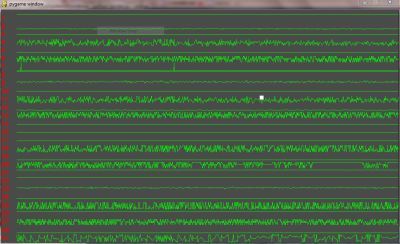 It’s a Python library that decrypt the AES (128-bit AES in ECB mode, block size of 16 bytes) output signal. (a pure python implementation of rijndael with a decent interface) and emotiv.py the main interface to read and decrypt EPOC headset data. EMOkit! i just had a vision of some emokid wearing this…just hope cyberpunks dont become emo-punks!